City you are moving from? Under New Ownership! Continuing to provide quality moving services in the San Diego area. If you are searching for professional moving companies, look no further. Priority Moving is a leader among Southern California's top moving companies. So what makes us different from other moving companies, at Priority Moving we are dedicated to providing the best moving services around paired with friendly and professional movers. In order to provide the best services, we offer comprehensive residential and commercial moving and storage services locally, nationally and internationally. We have the skills and knowledge to take you anywhere you need to go. Our mission is to exceed our customer’s expectations through affordable solutions and excellent customer service. At Priority we hold true to our mission by always making our customers, our top priority. Based in San Diego and Temecula, California, our company is founded on our own core values that moving should be safe, stress-free and affordable. With over 40,000 moves and a 90% customer retention rate we have taken our beliefs and turned them into a reality by making our customers and their needs our #1 Priority! Trust in Priority for your next relocation! For more information about our moving services or to request a free quote please contact us today. Call us at 858.256.4808! With facilities in San Diego and Temecula, California, Priority Moving is one of Southern California’s premier moving companies to rely on for all of your local and long-distance residential moving and storage needs. From studios, apartments and condominiums to large estates, retirement homes and dorm rooms—there is no moving or storage task that is too small or big for Priority Moving. Need help moving furniture? Need help staging your home to ready it for selling? Whether you need some in-home assistance, you’re relocating across town or around the world our residential moving and storage services are custom tailored to fit your individual needs. The task of moving a commercial business is a big undertaking, add in the added stress of relocation and/or the remodeling of your business space and the interruption in your day-to-day operations can be costly. As a leader among San Diego commercial moving companies, our mission is to provide a seamless, safe and highly effective transition for you and your business with as little interruption as possible. Unlike other moving companies at Priority our highly-trained commercial movers create a moving plan specific for your needs. Whether you are moving down the street or to another floor of your building, doing some remodeling or preparing for a Grand Opening, Priority Moving takes the work off of your plate so you can go back to doing what you do best…running your business the best way you know how. Priority Moving is an leader amongst International moving companies focused on preparing you for your adventure to another country. Wherever in the world life takes you, we are here to get you there safely, effectively and at a price you can afford. For your move, you will be assigned a personal International Moving Coordinator. Moving is stressful enough but an international move can amplify your anxieties because of all the details and moving parts that need to be managed. By having an International Moving Coordinator to carefully construct and execute a plan, this ensures that your move from the United States to your final country destination, takes place smoothly and as stress-free as possible. We here at Priority Moving are experienced and dedicated to ensuring a successful, stress-free international move. Priority Moving takes the hassle out of storage. When you sign on with Priority Moving, you don’t need to rent a truck. You don’t need to break your back loading portable storage containers in your driveway. You don’t need to do anything but tell our professional packers what you wish to store. Best of all, when compared to the other storage alternatives on a cubic foot basis, storage in our warehouse actually saves you money! Each storage vault is approximately 7 feet tall, 7 feet long and 5 feet wide. This equates to 245 cubic feet. Compare that to self-storage or portable storage which can cost as much as 25% TO 40% more. 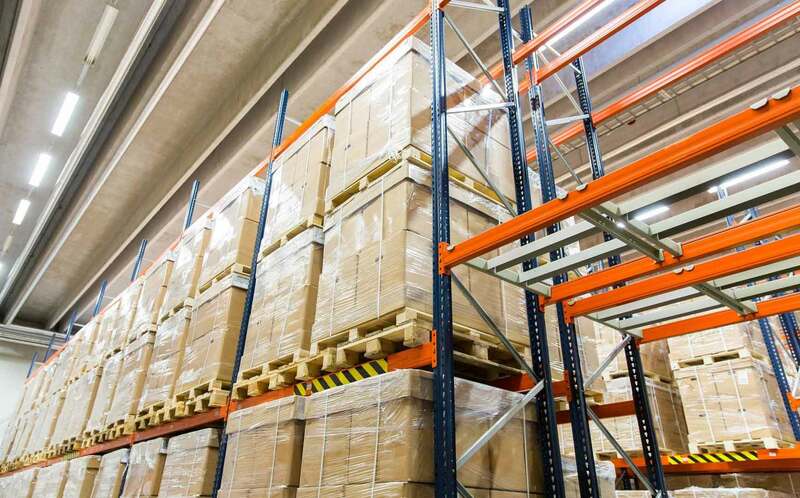 unlike other storage and moving companies our military-approved, secured warehouse in San Diego, California maintains 24-hour video surveillance and alarms, is in a fire-preventative environment and is temperature controlled so that each vault that is individually secured with a numbered seal, is ensured the outmost security. As a leader among Sand Diego moving companies Priority Moving is dedicated to providing consistent, high-quality service to local, state and federal government agencies and their employees. Our customized solutions span from government office and industrial moves to domestic and international relocation. As a General Service Administration (GSA) approved carrier, Priority moves thousands of government employees a year. We’re knowledgeable in federal travel regulations, employee entitlements and the GSA tender of service guidelines. Whether it’s temporary duty or a permanent change of station (PCS), Priority Moving is driven to assist military families and personnel by proudly providing simple, safe relocation solutions. See what are clients are saying about us! - ZABET DAN L .
- Rose eg G .